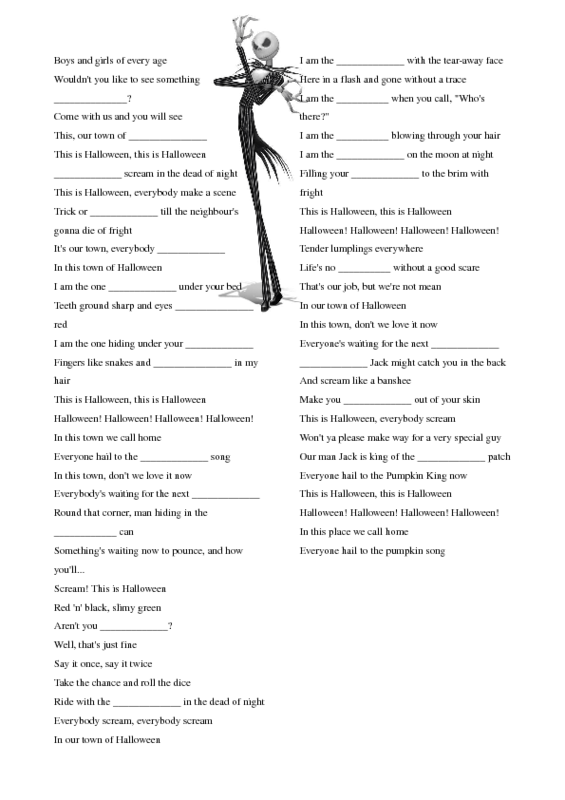 This Halloween worksheet contains the "This is Halloween" song from Tim Burton's The Nightmare Before Christmas movie with (mostly) Halloween related words omitted. The students are supposed to listen to the song and fill in the blanks. The song can easily be found on Youtube (3:30).